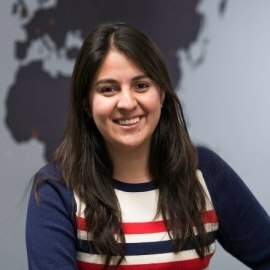 Maria Salamanca is currently an Associate at Unshackled Ventures where she focuses on companies founded by immigrant founders. Previous to joining Unshackled, Maria worked at FWD.us an immigration lobbying group founded by Mark Zuckerberg and other tech leaders. Maria also worked as assistant to the Silicon Valley finance director for Hillary for America and as a fellow for Obama’s 2012 campaign. Maria is a mentor at Year Up, Stanford Latino Entrepreneurship Initiative, BUILDUP Fund, and NASDAQ Entrepreneurship Center.